The transducer(s) you select for your i70s Instrument will depend on factors such as the mounting option, the material, power and frequency. To begin, select what data you would like your instrument to display. You can then browse the related transducers. 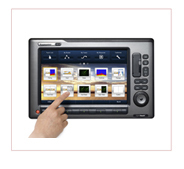 The eS Series’ advanced LightHouse II operating system with HybridTouch™ gives you total control. 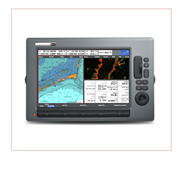 9" to 19" Glass Bridge touchscreen network displays. Elegant, flexible and simple to use.